Project Autism, is a fundraising initiative to be allocated for the project of an autistic child. Through the sales of Flip books (interactive books) we will raise funds to be allocated to everyone project. 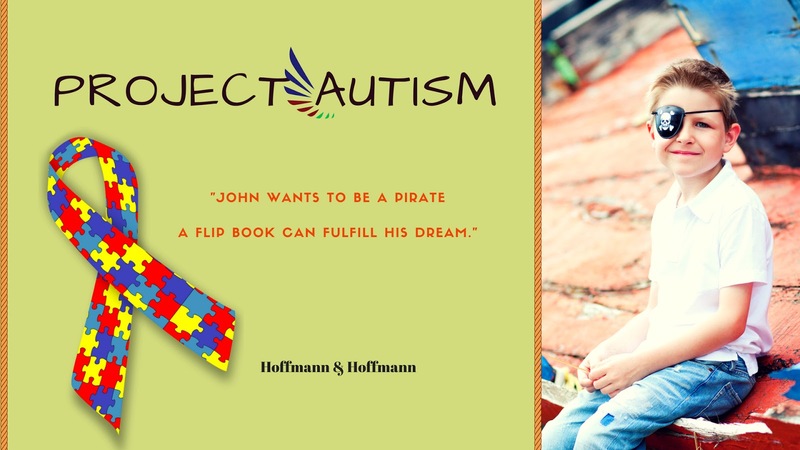 To submit a child's application (worldwide), send an email to: hoffmannpublish@gmail.com with the subject Project Autism. The request must contain the child's name and address, photo, medical diagnosis and project. Projects can be curative (recognized) therapies, studies, travel and any other project that can help for a better future. In addition to the flip books, each project will be linked to "gofundme" a website specialized in fundraising. As is a completely beneficial operation where the proceeds from the sale of flip books will be entirely devolved to each project. A book and an author, will be assigned to each child to be the sponsor of his project. At this moment, we can sponsor only five projects, any changes will be announced later. I hope in the solidarity of all, for a problem that I know in first person and that concerns an increasingly large part to the world population.